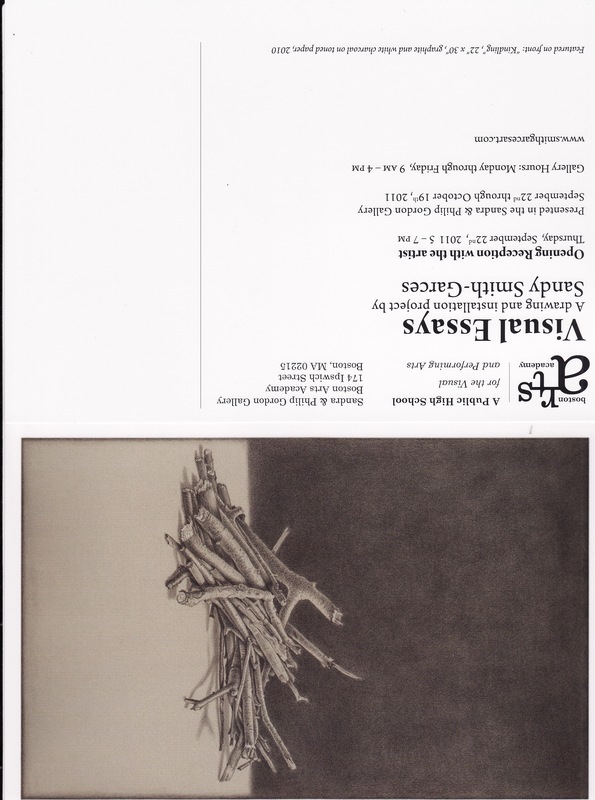 Below is the invitation for my opening at the Boston Arts Academy. The show is titled Kindling: Visual Essays. Please feel free to share the invitation and the post card.